The Opposite Of Hibernation Is Called? Although everyone knows Windows 95 as, well, Windows 95 (due to its being named after the date of its release, August of 1995), the development of the then major Windows overhaul can be traced all the way back to March of 1992 as Microsoft geared up for the next big thing after Windows 3.1. 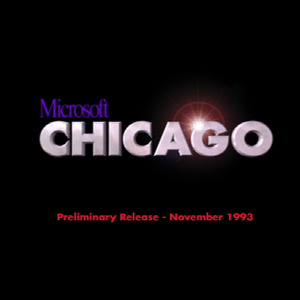 In keeping with Microsoft’s (then) very loose routine of using city-based code names (the code name for Windows for Workgroups 3.1 was Sparta), they named what would become Windows 95 “Chicago”—the code name was even used on the boot splash screen of early test copies, as seen in the screen capture here. Windows 95 was a significant improvement over its predecessor, Windows 3.1, and ushered in a wide variety of Windows conventions still in use today such as the Start button, the taskbar, “plug and play” automatic detection and configuration of hardware, and more.